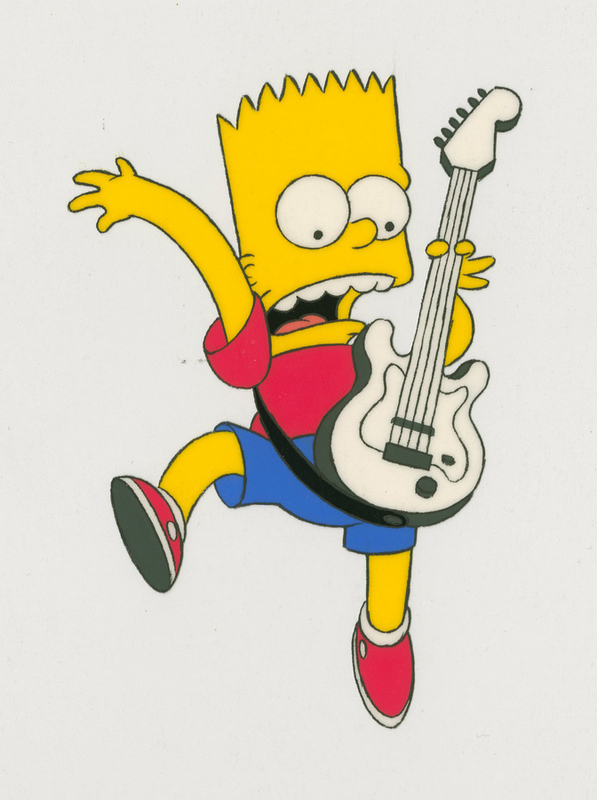 This is an original production cel from a 1980s animated production featuring The Simpsons. 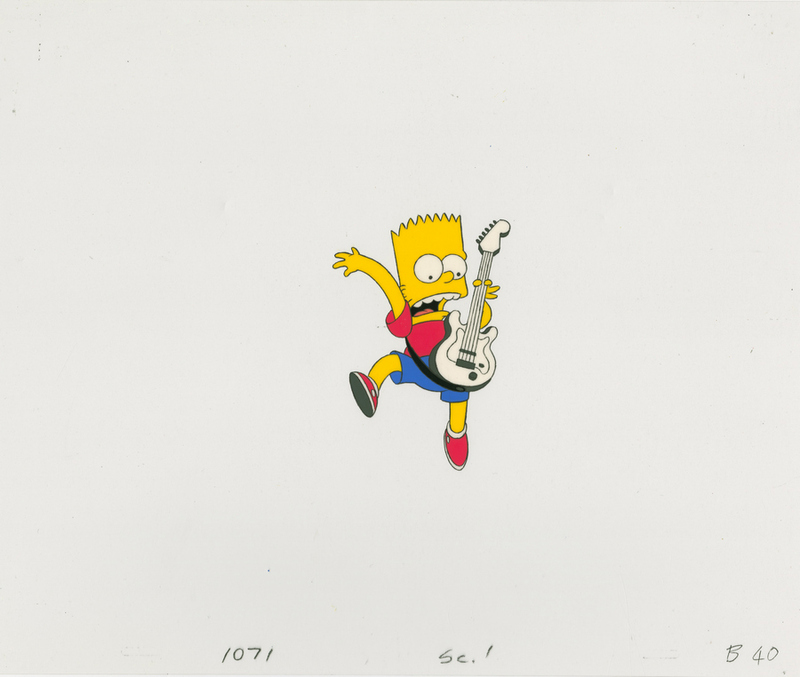 This hand-painted cel features Bart Simpson strumming an electric guitar and was created at the studio and used during production. Based on the style, this definitely appears to be from the 90s, but based on the reference numbers, it may be from a commercial or other production other than the animated series. The overall measurements of the piece are 10.5" x 12.5" and the image itself measures 4" x 2.75".